You can send the data of your particulate matter sensor to the openSenseMap if you follow these steps. Using the web interface of your device, you can find out which sensors are attached (Fig. 1). Go to https://opensensemap.org/register, fill out your name, location and exposure. In the section Hardware select luftdaten.info. Now select the correct sensor configuration matching your local sensor configuration (Fig. 2). If you registered with a correct mail address, the senseBox ID will also be sent via mail. 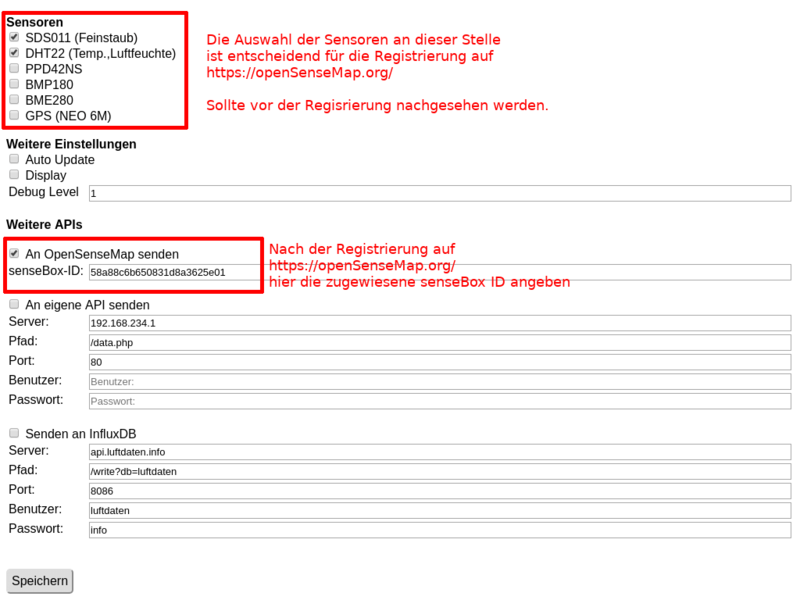 Paste your senseBox ID in the field next to Send to openSenseMap and check the box. Save the configuration with the button on the bottom of the page. 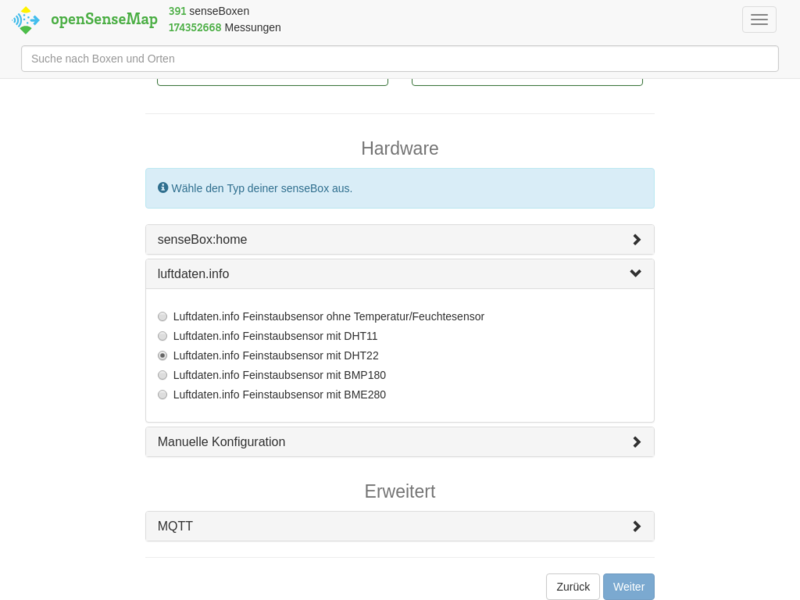 Your device should now send its data to the openSenseMap!